Royole Flexpai smartphone is the World's First Fully Flexible display smartphone with Dual view camera mode and also Fast charging. Flexpai Smartphone it was officially launched in Beijing. Flexpai is the combination of Smartphone and Tablet. 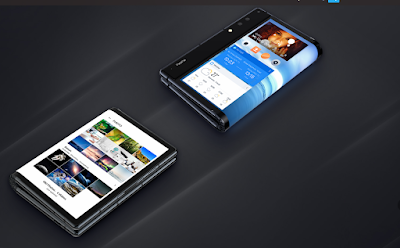 In The Royole Flexpai Processor are used Qualcomm Snapdragon 855 Mobile Platform and on the official Website is uploaded More Infomation about This Smartphone. In Flexpai are Include Two Camera that Takes Photos And Videos And it is also convenient. You can also take photos and Videos then Screen is bent and it gives a unique Angle.